Human resource has been recognized as the most valuable asset for any business and protecting it should be their top priority. No wonder, workforce safety programs have become indispensable for organizations of all sizes today. The objective of these programs is to prevent injuries and keep a check on the occupational hazards for ensuring the physical and mental well-being of the workforce. 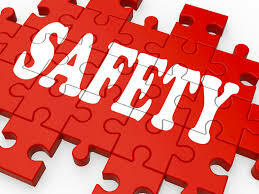 A proper safety plan and its compliance have been made a legal requirement for businesses today. More so, it brings several other advantages such as higher productivity, greater employee motivation, reduced injury costs and more credibility for the business. Therefore, it becomes important to know all about the essentials of a comprehensive safety management plan and have them in place. Here is all that you need to know about creating and implementing such a plan. The first and foremost thing to do is to analyze your work environment, identify its hazards and look for the solutions to address them. The best approach would be to consider the statutory regulations as the safety benchmark and formulate the safety policies and procedures around them. Simply speaking, aim at meeting the regulations with the plan you create. Getting professional assistance to formulate a plan is a good idea. Alternatively, you can opt for ready-made whs management system safety templates to make things simpler, yet get a plan that is customized according to your requirements. Employee involvement is another critical element of a comprehensive safety management plan because it is going to be implemented for them and by them. Talk to them to understand the kind of hazards they face on a daily basis and also encourage them to share the possible solutions. Train and educate them about handling various kinds of occupational hazards and mishaps that could possibly occur at work. Make them aware of the significance of incident reporting and motivate them to help their co-workers when there is a need. For being comprehensive, a safety management plan needs to cover the overall health and well-being of the workforce. This means that you need to consider the fulfillment of physical, mental and emotional health goals while formulating the procedures and policies. Physical health is important as people who are fit are able to perform better and be a part of a healthy, infection-free environment at the workplace. At the same time, mental and emotional health is vital as these can affect the overall health and performance levels to a considerable extent. People who are mentally depressed and fogged are likely to lack concentration, which puts them at the risk of injuries and accidents. Having an ineffective safety management system is as bad as not having one. Therefore, you should make efforts to ensure that the plan you make for your organization covers the entire aspects that are needed for creating a secure and happy workplace for your employees. Nothing motivates the employees more than knowing that their health and safety matters to the employer.